While everyone dreams of having their perfect body, the amount of working out and dieting involved is enough to make many stop before they even start. Factors that prevent you from losing weight may include a poor diet, lack of energy, a slow metabolism, and appetite control. Let’s face it, after a hard day of work the first thing you crave when you get home isn’t a carrot but a bag of high calorie potato chips! So here are three types of fat burners that will help you to your goal of achieving a more sculpted body, along with working out and eating right. 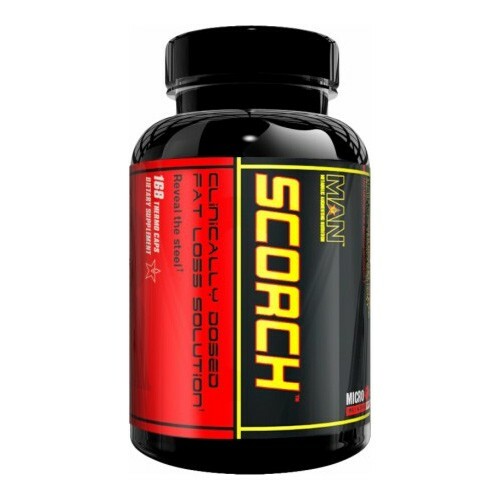 SCORCH is a clinically dosed fat loss solution with appetite control and mental clarity in mind. It contains Raspberry Ketones, Evodiamine, Lean Green (EGCG’s) P2™ (polymerized polyphenols) and more to help you burn fat fast and maintain focus, mood and mental clarity. Creator of creatine, V-12, a performance-enhancing and muscle volumizing formula, they have also created SAN TIGHT, a newly developed pharmaceutical grade over-the-counter weight loss supplement designed to destruct stubborn adipose tissue without disturbing one’s central nervous system. It is shown to effectively mobilize fat stores without the use of nerve-stimulating ephedrine alkaloids. LIPO-6 is a powerful fat-loss support formula that utilizes maximum strength liquid capsules for superior absorption and rapid effects. This highly advanced method of delivering fast-absorbing ingredients makes LIPO-6 a great choice when it comes to weight-loss support products. Whether you’re a man or woman, fitness enthusiast or bodybuilder. LIPO-6 utilizes all natural vegetable capsules, which are completely devoid of any animal derived gelatin materials. You can find these weight loss supplements at Supps R Us and other health and nutrition stores like GNC, Vitamin Shoppe.